If it were not for Marshall B. Rosenberg, there would be no Nonviolent Communication (NVC) – or at least not in the form we know and not under that name. It is thanks to him that people all over the world take responsibility for their feelings and needs and try to express and satisfy them paying attention to the feelings and needs of others. Marshall B. Rosenberg was an extraordinary, inspiring man, and his idea of ​​communicating without violence has been attracting the supporters and promoters in many countries since decades. It is thanks to him that this special to me community of people who care about close, honest relationships and understanding each other was created. Also, my life and my relationships with loved ones would look completely different if I did not come across a recording of one of Marshall B. Rosenberg’s lectures in 2010. Marshall B. Rosenberg was an American psychologist, negotiator, mediator, trainer and teacher. He did a PhD in clinical psychology, he was a student of Carl Rogers, one of the main representatives of the humanistic psychology. He believed that social change is possible, that the world can move towards peace, cooperation, mutual respect and understanding. He was born on October 6, 1934 in Ohio (USA), grew up in Detroit. From an early age he experienced violence and discrimination. On the other hand, he was also in contact with people who loved contributing to others. To find out what is the source of violence, what can be done to prevent it and why some people remain empathic and compassionate regardless of the circumstances, he decided to study psychology. Our ability to offer empathy can allow us to stay vulnerable, defuse potential violence, help us hear the word ‘no’ without taking it as a rejection, revive lifeless conversation, and even hear the feelings and needs expressed through silence. However, his work as a clinical psychologist did not give him satisfaction because he wanted to support the creation of world peace on a larger scale. He was involved in many activities which aimed at teaching how to resolve conflicts peacefully. He was showing how language, our way of thinking and our attitude to communication decide about how our relationships with others and ourselves look like. He kept studying different psychological theories and religions and gained experience by working with groups of people who were hurting or were in conflict. From all of these activities evolved Nonviolent Communication (NVC). NVC is aimed at, among others, supporting dialogue between people and building societies based on empathy and taking into account the needs of all who are involved (for more details, see the article Nonviolent Communication – basic information). The objective of NVC is not to change people and their behavior in order to get our way; it is to establish relationships based on honesty and empathy that will eventually fulfill everyone’s needs. Travelling around the world, he teached Nonviolent Communication through lectures, workshops, meetings and mediations. He worked as a mediator in regions affected by armed conflicts, in poor city districts and in prisons. He helped families, trained teachers, social workers, police officers, prison guards and representatives of the business world. He conducted trainings for people involved in solving regional and ethnic conflicts in such countries as: Israel, Palestine, Sierra Leone, Russia, Bosnia, Serbia, Ireland, Sri Lanka, Rwanda, Burundi and Nigeria. Peace requires something far more difficult than revenge or merely turning the other cheek; it requires empathizing with the fears and unmet needs that provide the impetus for people to attack each other. Being aware of these feelings and needs, people lose their desire to attack back because they see the human ignorance leading to these attacks; instead, their goal becomes providing the empathic connection and education that will enable them to transcend their violence and engage in cooperative relationships. Marshall B. Rosenberg is the author of many books translated into various languages. In his books he describes the philosophy of Nonviolent Communication and his many years of experience in working with people. In each book he emphasizes the great role of empathic listening and honest sharing of what is alive in us. He also shows how important it is to make contact based on mutual respect and understanding. He also received many awards appreciating his work for conflict resolution and promoting peace. Marshall B. Rosenberg died at home on February 7, 2015. 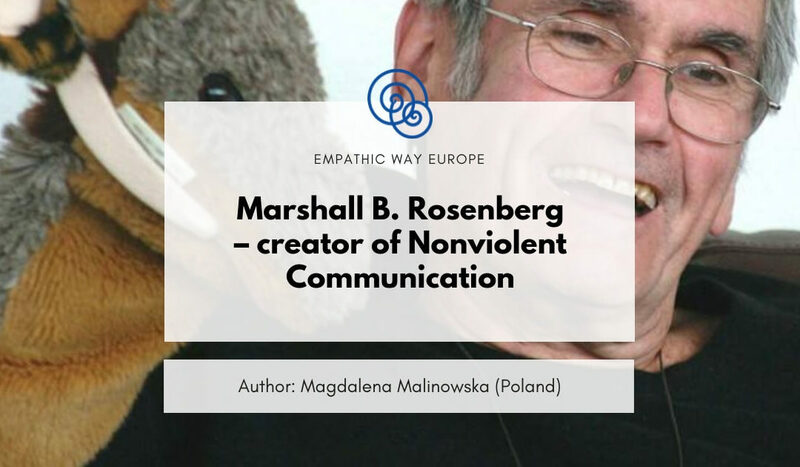 Marshall B. Rosenberg was the founder of the Center for Nonviolent Communication (CNVC), a global organization that supports activities for the promotion of peace and conflict resolution through NVC. The CNVC continues Marshall Rosenberg’s mission after his death. The organization cares about the quality of Nonviolent Communication trainings and brings together certified trainers who share their knowledge and experience around the world. At the moment the NVC community is active in over 65 countries around the globe. I support people in creating satisfying life and relationships (personal and professional) through individual trainings and group workshops deepening communication skills. I help in implementing Nonviolent Communication (NVC) in relationships, companies and non-governmental organisations. My work is based not only on Nonviolent Communication (NVC) created by Marshall B. Rosenberg, but also on non-formal learning methods and on Coaching for Transformation approach. I founded Empathic Way (www.empathicway.pl), through which I promote Nonviolent Communication and teach honest and clear self-expression and listening to others with respect and empathy. Empathic Way Europe is a project that I started because I love working in English and want to reach people living in the whole Europe. 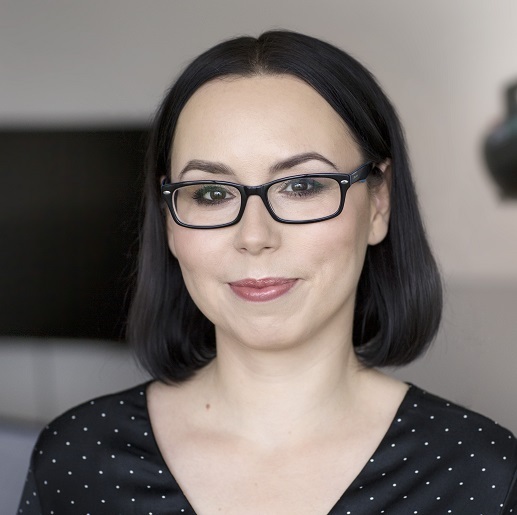 Besides, I run the Warsaw Empathy Group, I offer training courses and individual support. I am the author of the online course “Four steps to a better relationship with others and myself” (at the moment only in Polish). I got to know Nonviolent Communication in 2010. I am on the path to CNVC certification.